March 29th, 2017, Dublin, Ireland / Cape Town, South Africa. 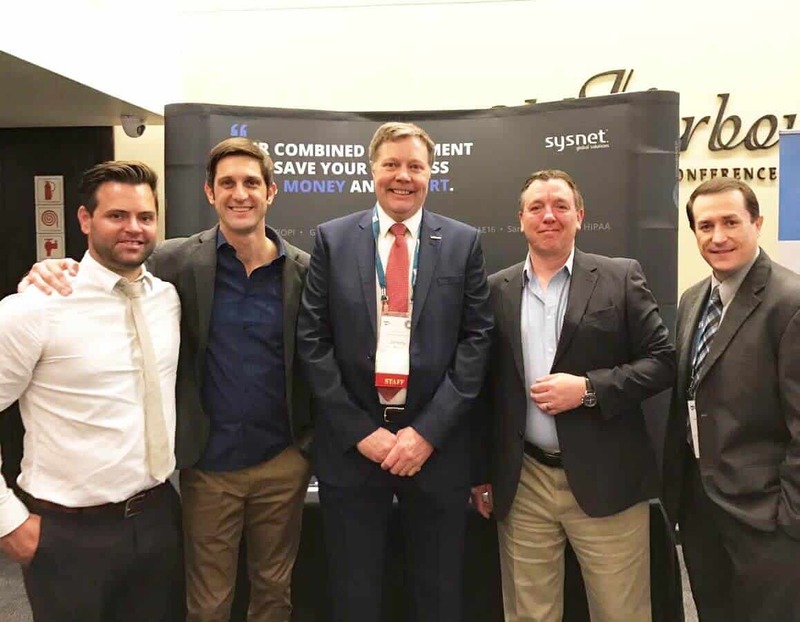 Sysnet Global Solutions, a leading provider of cyber security and compliance solutions, today launched its Combined Assessment Model at the PCI Security Standards Council’s Middle East and Africa Forum in Cape Town, South Africa. Sysnet’s Combined Assessment Model (CAM) is a single assessment model that covers many standards. It enables businesses seeking compliance with multiple standards to work with one partner with fees typically showing savings of around 35-50% less than they would pay for multiple assessments. Most organisations today have to comply with multiple information security related standards and regulations. These can include PCI DSS, POPI, GDPR, ISO 27001, Sarbanes Oxley, HIPAA, and even audits by their own clients. “CAM was developed to provide a solution to the traditional, island approach to managing information security. Problems such as a lack of effective and efficient collaboration, communication and control validation. CAM unifies the business’ security architecture into one cohesive system, providing a single compliance and assessment framework, thus increasing control environment efficiencies whilst dramatically reducing cost in; time, complexity and money.” said James. CAM is future proofed and easily adapts to changes to the standards and additional standards can be added without having to build up another expensive internal compliance program – it simply slots into the existing framework. Less effort – CAM provides a common framework that covers all standards in one assessment. Reduced complexity – multiple management and design controls collapsed into one. Reduced cost – one partner, one assessment. Saves time – every aspect of our model saves effort and interactions with multiple standards. For more information regarding Sysnet’s CAM, meet the Sysnet team today at booth number 1 PCI EMA Forum in Cape Town. Alternatively you can visit sysnetgs.com/combined-assessment-model/ email sales@sysnetgs.com or call: South Africa T: +27 (0)83 629 7514 / Europe T: +353 (0)1 495 1300 / USA T: +1 404 991 3110. The Payment Card Industry (PCI) Security Standards Council is a global forum that develops, maintains and manages the PCI Security Standards, which include the Data Security Standard (DSS), Payment Application Data Security Standard (PA-DSS), and PIN Transaction Security (PTS) Requirements. The Council’s Middle East and Africa Forum enables Council staff and industry experts to share the latest technology and security updates. Sysnet is a true global market leader in cyber security risk and assurance, with the ability to provide a comprehensive range of information security consultancy and assurance services in over 55 countries. Sysnet provides a variety of services and solutions to assist organisations of all types and sizes to protect their critical business assets with pragmatic solutions to help improve their security posture and meet compliance initiatives. This entry was posted in News, Uncategorized and tagged Combined Assessment Model, PCI MEA.